Now you see it…now you don’t. What am I talking about? I am talking about that love that the two parents shared at one point. Those happy times, you know? All the laughter and special talks and intimate times are out the window now. A custody battle will do that to you. Mud slinging, name calling, revealing secrets, playing dirty…that is the new name of the game and the prize…your child. Do not think that this type of thing cannot happen to you. It comes when you least expect it like it did for me. My baby’s father and I spoke everyday with no bickering or arguing all the way up until the day he served me my custody papers. The shock…that is nothing compared to the battle. In this short book, So Who Gets the Baby? 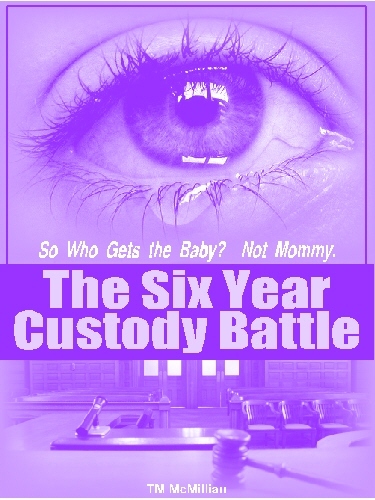 Not Mommy…The Six Year Custody Battle, I give pointers and preparation on how to walk into, through and out of a custody battle with your child’s parent; that person who, at one point, you truly loved, but now has become your worst enemy.